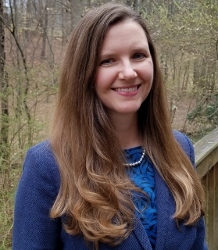 Dr. Karen S. Thomas is an Adjunct Instructor of Music Education in the Hayes School of Music, and a University Field Supervisor in the Reich College of Education at Appalachian State University. She earned a Ph.D. in Music Education, as well as a Post-Baccalaureate Certificate in Ethnomusicology, from the University of North Carolina at Greensboro in 2016. She received a M.M. in Music Education (2005) and a B.A. in Music (1997), from the University of North Carolina at Greensboro. Prior to pursuing a doctoral degree, she taught general music in North Carolina public schools for 13 years: one year as a middle school chorus and general music teacher, and 12 years as an elementary general music teacher. She served as chairperson of the Winston-Salem/Forsyth County Schools (NC) elementary music section for three years. Dr. Thomas taught for many years as a clarinet instructor, and served as director of music camps, at the Music Academy of North Carolina. She has performed as a clarinetist with the Piedmont Wind Symphony, and also enjoys playing piano, ukulele, guitar, and mountain dulcimer. She is a National Board Certified Teacher in Early and Middle Childhood Music, holds Level 1 certification in Music Learning Theory Elementary General Music, and has training in Levels I and II of Orff-Schulwerk. Dr. Thomas's interests include aural musicianship, general music, music perception and cognition, music and psychology, and ethnomusicology. Her dissertation research study examined the effect of aural instruction with tonal and rhythm patterns from Edwin Gordon's Music Learning Theory on the aural discrimination abilities of second-grade students. Dr. Thomas has presented at state, national, and international conferences, including the North Carolina Music Educators Association, Society for Music Teacher Education, Mountain Lake Colloquium for Teachers of General Music Methods, International Conference for Music Perception and Cognition, and the International Conference for Research in Music Education. She has been published in peer-reviewed journals including Update: Applications of Research in Music Education, Psychology of Aesthetics, Creativity, and the Arts, and Psychology of Music.